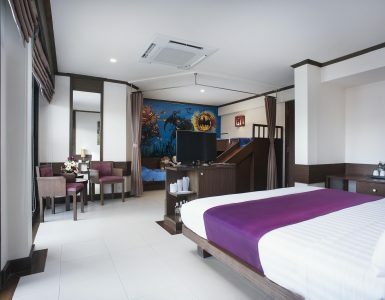 Mercure is in a superb location for having access to Walking Street easily, without being down in it. Located on 2nd Road the walk from Mercure to the beginning of Walking Street is only a few minutes. Walking Street is home to arguably the best nightlife in Thailand, with 10 major Discotheques, at least as many Go Go bars, as well as open air bars playing live music, dining options of all sorts from Shawarmas to live seafood. Mercure is perfect for everyone that wants to be close to Walking Street while being pampered with all the best amenities. Walking Street is filled with dining options that cater to all budgets and tastes. 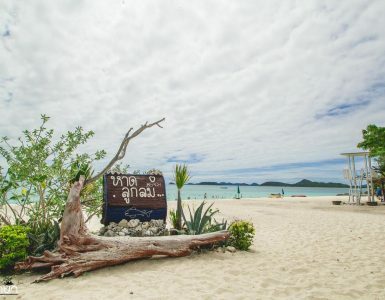 Starting at the entrance is the Beer Garden, a sprawling seafood restaurant overlooking the water that has a wide variety of Thai dishes and is quite reasonably priced. Walk further in and you will find high end Italian and French restaurants, seafood restaurants with live lobster and other creatures for you to select from. There is all kinds of street food that you will find anywhere in Thailand, and also kabobs made with lamb, chicken, or beef. For the really adventurous you can typically find one of the carts selling fried insects, and if you need something sweet freshly made ice cream in the Turkish style is also available right on the street. After eating it may be time to go out dancing and work off the meal. There is no shortage of dance clubs on Walking Street. Lucifer’s has a live band out front, and then deeper inside the belly of the beast is another stage that alternates between DJ’s and live bands. There is Candy Shop an open air club that is the precursor for 808. At 808 there is a huge central bar, and lots of private tables surrounding it with plenty of dance floor. Then there is iBar a 3 story dance club typically packed wall to wall with people no matter what time you show up. Mixx club and Miami are another couple of options, Mixx for more European flare, while Miami has a more American vibe. Perhaps you don’t want to dance, but you want to watch the ladies get down. The Go Go bars are the place to go. They will be the bars where they practically drag you inside as you walk by. Scantily clad women dressed in theme with the bar will entice you to come in and buy them drinks. Beware of ringing the bell, that means you have just bought an entire round of drinks for everyone in the bar. Most of the Go Go’s are Thai, however, there is at least one Russian club for those who have slightly different taste. The Go Go bars are also where you may encounter a Ping Pong show. Among the nightclubs and go gos there are also a number of open air bars that serve draught beer, lousy cocktails, and feature live music from the 60s to now and everything in between. Cover music from the Eagles, Adele, Elvis, Metallica, or Spice Girls could be heard with one walk up the street. Some of the musicians are really talented and most will take requests. Simply find a bar blaring the genre of music you prefer and chances are you can get them to play your song. Be careful if you sing at your table, if they hear you, they may drag you up on stage to perform with them. I like to call this Thai karaoke, it’s better with the live band, they will cover for your mistakes!! In addition to all the clubs, and restaurants and street food, there will also be various street performers doing all kinds of things to earn tips. Depending on when you are down there you may see someone on a unicycle, juggling, performing magic tricks, walking on stilts, operating a small robot, or playing an odd instrument rarely mastered any more. One could expect to run into puppet shows, or mimes, maybe a clown. On Walking Street the possibilities can be endless. There is also shopping available. Vendors have shops for making tailored suits and clothing. There are many souvenir type shops that carry goods from all the regions of Thailand. Art galleries and handmade items, as well as leather goods and housewares. Getting tailored clothes is one of the must do things for anyone that has an eye for fashion or quality. Pro Tip: buy your own thread and take it with you, the patterns are amazing, the materials top notch, and many use bad thread. Walking Street is filled with great dining, and some of the best nightlife in Asia. Only a short walk from the Mercure hotel will put you right at the start where you will find the Beer Garden, and the gateway to the madness that is Walking Street.